FREE SPIRIT: ACUTE STROKE - A RACE AGAINST TIME. ACUTE STROKE - A RACE AGAINST TIME. Did you know that every 3.3 minutes someone dies of stroke, or that stroke is the third leading cause of death and adult disability worldwide! 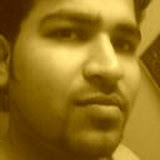 In India, 1 person suffers from stroke every minute. The word Stroke (Paralysis or lakva) is derived from the word ‘Strike’ – an analogue to the sudden, severe attack with which it affects the patient and changes their mortality and morbidity completely, if not treated in time. It is caused by the interruption of the blood supply to the brain, usually because a blood vessel bursts (hemorrhagic) or is blocked by a clot (Ischaemic). This cuts off the supply of oxygen and nutrients to the brain, causing damage to the brain tissue. Treatment of Acute Ischaemic stroke and its outcome is time dependant. Rapid injection of recombinant tissue-type plasminogen activator (r-tPA – a thrombolytic / clot dissolving injection) in blood is the early treatment. It should be administered within 3 hours of onset of above mentioned symptoms. International guidelines recommend a ‘door-to-needle time’ of 60 minutes or less (the time from entry of patient in emergency to administration of drug). Lack of knowledge about stroke among the general public delays the initiation of immediate management of stroke. Delay in arrival of patient to the hospital, delayed consent by relatives for thrombolysis and unavailability of emergency ambulance services (especially in rural India) are the major reasons of treatment delay. 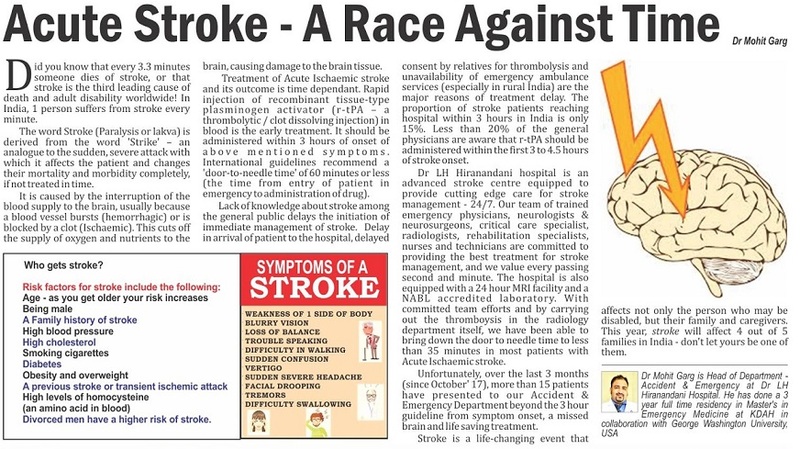 The proportion of stroke patients reaching hospital within 3 hours in India is only 15%. Less than 20% of the general physicians are aware that r-tPA should be administered within the first 3 to 4.5 hours of stroke onset. 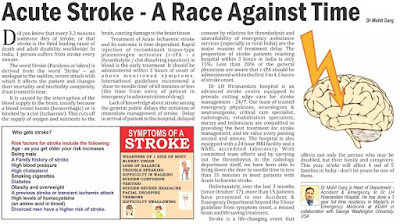 Dr. L H Hiranandani hospital is an advanced stroke centre equipped to provide cutting edge care for stroke management - 24/7. Our team of trained emergency physicians, neurologists & neurosurgeons, critical care specialist, radiologists, rehabilitation specialists, nurses and technicians are committed to providing the best treatment for stroke management, and we value every passing second and minute. The hospital is also equipped with a 24 hour MRI facility and a NABL accredited laboratory. With committed team efforts and by carrying out the thromboysis in the radiology department itself, we have been able to bring down the door to needle time to less than 35 minutes in most patients with Acute Ischaemic stroke. Unfortunately, over the last 3 months (since October’ 17), more than 15 patients have presented to our Accident & Emergency Department beyond the 3 hour guideline from symptom onset, a missed brain and life saving treatment. Stroke is a life-changing event that affects not only the person who may be disabled, but their family and caregivers. This year, stroke will affect 4 out of 5 families in India - don't let yours be one of them.